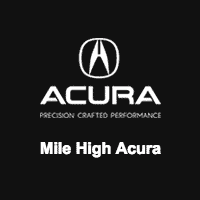 The new Acura MDX is now available near Aurora at Mile High Acura, where we currently have several Acura MDX lease incentives available. The new Acura MDX serves up robust towing capabilities and inspired performance with up to 321 hp and available Super Handling All-Wheel™ (SH-AWD®). You’ll also find premium features like natural wood accents, perforated leather upholstery, and the AcuraWatch™ driver assistance package. Get behind the wheel of this luxury SUV for less near at your Highlands Ranch area Acura dealership! Don’t Miss Our Acura MDX Lease Deals Near Littleton! Interested in affordable monthly payments on a luxury SUV near Parker and Centennial? Then check out the new Acura MDX lease deals at Mile High Acura, where you’ll find this three-row SUV with configurations like the Technology Package and Advance Package. Find out your way to our dealership near Centennial, contact us online.